Buy Quick-Step Laminate Plank Flooring Today and Save! Quick-Step Laminate Plank Flooring has an extensive variety of natural Hardwood colors, shades, and textures to choose from! The Quick-Step collection excels quality and style. 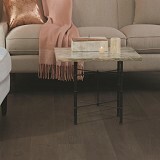 Quick-Step laminate floors comes in planks, tiles or classic laminate. Everyone will find something to suit his or her personality. Enjoy the many quality designs, the vivid colors, be different formats, the soft satin gloss and the beautifully warm surface finish of Quick-Step Laminate Flooring. Look and choose a beautiful laminate floor that's a dream to install; just click and you're done and no glue. What better place to find discount Quick-Step laminate floors than American Carpet Wholesalers, We offer the lowest Quick-Step laminate prices. Buy Quick-Step Laminate Plank Flooring today at ACWG for 30-60% savings! Quick-Step® Laminate Floors have always been strong on technique and quality. Tight control of in-house production from A to Z, research into new and better techniques and the use of the most sustainable raw materials. That's Quick-Step® Laminate. A laminate floor with an immaculate reputation. A laminate floor you can enjoy for many years. Guaranteed, because Quick-Step laminate floors impose high quality demands – from raw material to finished product – that generally exceed the prevailing EN and ISO standards. Only the best is good enough. For discount Quick-Step laminate prices, American Carpet Wholesalers, an Inc. 5000 company is your Quick-Step laminate source. Buy Quick-Step Laminate online or call us for Quick-Step Laminate prices.